View from St. Michael's Church steeple looking north on Meeting Street. 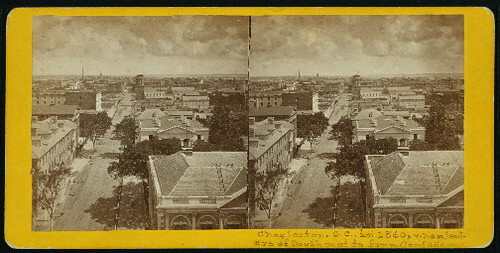 Broad Street and Meeting Street, Charleston, SC. LOC archives photo taken circa 1885.